Multi-platinum selling pop super-group New Kids On The Block have dropped a tongue-in-cheek new music video for their brand new track, 'Boys In The Band'. Directed by John Asher, the video highlights the fun new track with the band taking a new generation on a journey through the history of boy bands. 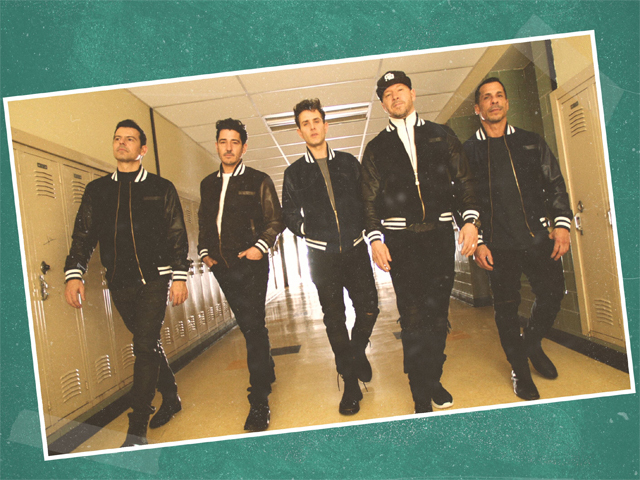 Teaming up with pop-culture music icons Lance Bass, Naughty By Nature, Debbie Gibson, & Bell Biv Devoe of New Edition – plus a special appearance by Joey McIntyre's son Griffin – the video is a throwback in time in the most epic way possible and serves as a reminder of how much we all love irresistible boy bands, especially NKOTB. Donnie Wahlberg says of the new video: "I wrote the lyrics to the song as a homage to boy bands, but you can't truly pay tribute to boy bands, visually, without a little self-deprecating humour. Nobody has thicker skin than boy band members." 'Boys In The Band' will be featured on the 30th anniversary re-issue of career-defining album HANGIN' TOUGH out on March 8th through Sony Music Entertainment Australia.